This is a must do tour in Iceland for anyone looking for an exciting activity and a taste of the local culture. Get your adrenaline pumping on a thrilling and beautiful ride down the Gullfoss river going through a stunning canyon and extraordinary landscape. 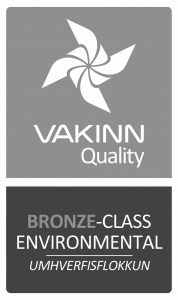 Our expert guides will make sure you have the best experience before taking your taste buds for a whole new trip of their own. 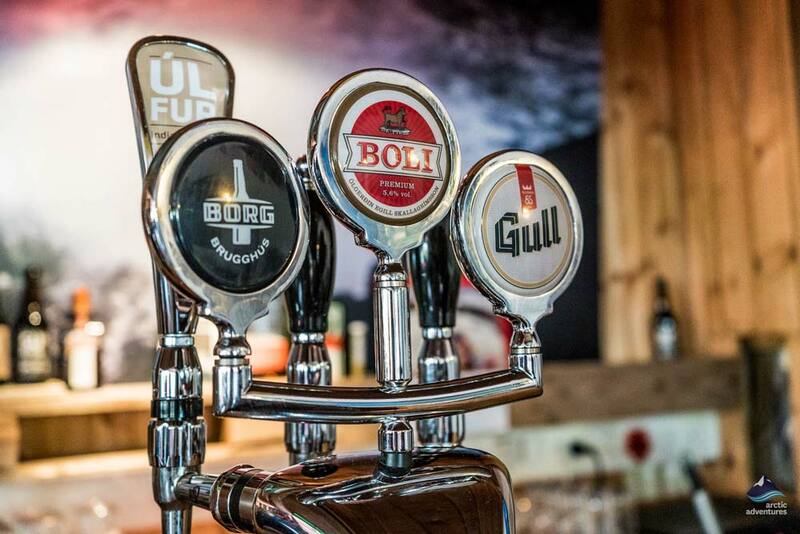 Iceland is known for it’s delicious beer and here is your chance to see why. SKÁL! The breathtakingly beautiful Gullfoss waterfall is getting to be world famous for being powerful and scenic. 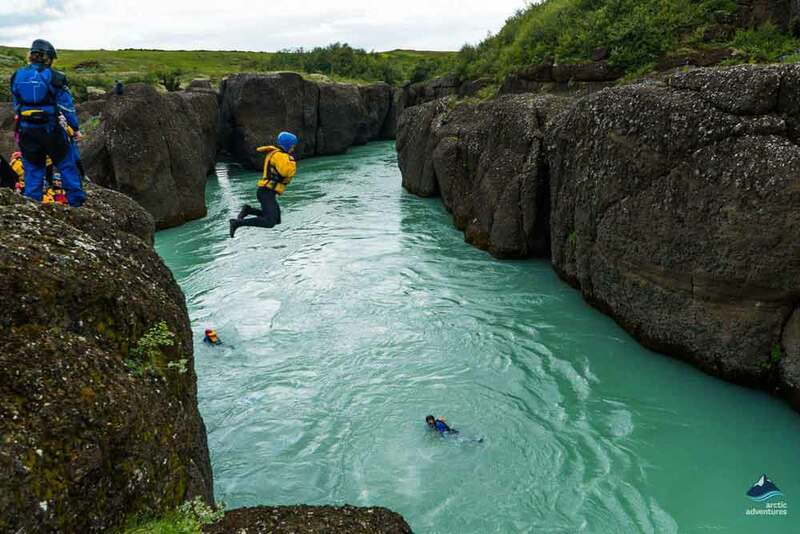 It flows through a great canyon filled with glacier water and mesmerizing landscape. 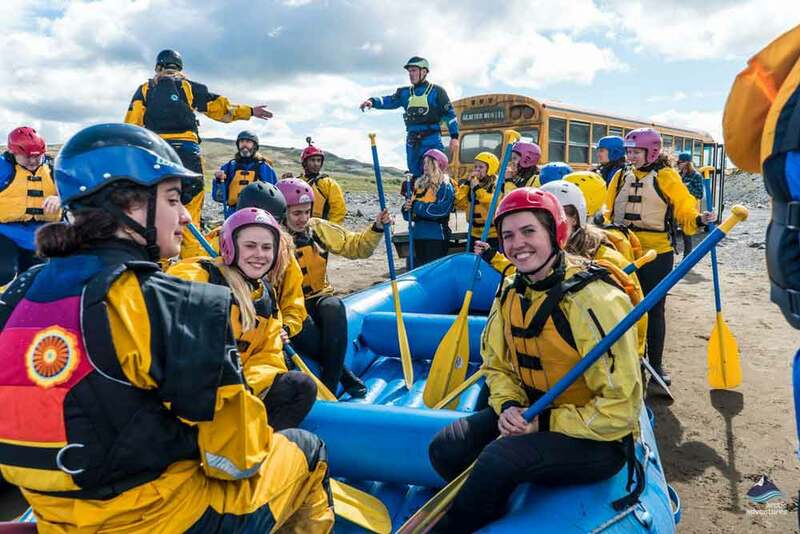 One of the absolute best ways to explore the canyon is by river rafting through it. 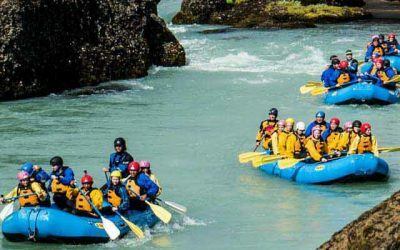 This activity is somewhat a local sport in Iceland as groups of friends and family seek the activity to celebrate or to enjoy an exciting adventure day together. The tour starts from Drumbó, a charming farm near the Golden Circle route. 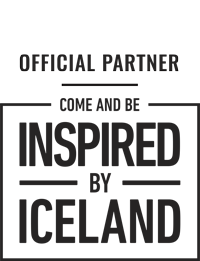 There you will be handed all the proper gear and our expert guides will go through how to use the equipment and give you helpful tips for the experience ahead. Next, we will all join in an old school bus which the Arctic team renovated after the US army left their base in Keflavík, 2006. We will drive down to the Hvítá river where a safety briefing is held before the boats are dragged into the river. Now the real excitement starts as we make our way through the canyon, splashing and paddling in extraordinary landscape. This experience is one for the books! 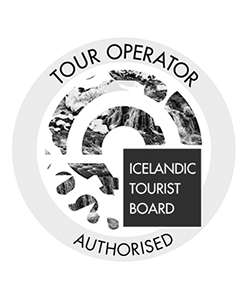 After the tour, we will return to the Drumbó base again for a quick shower and sauna (optional) before getting a history lesson in Iceland beer and beer culture. 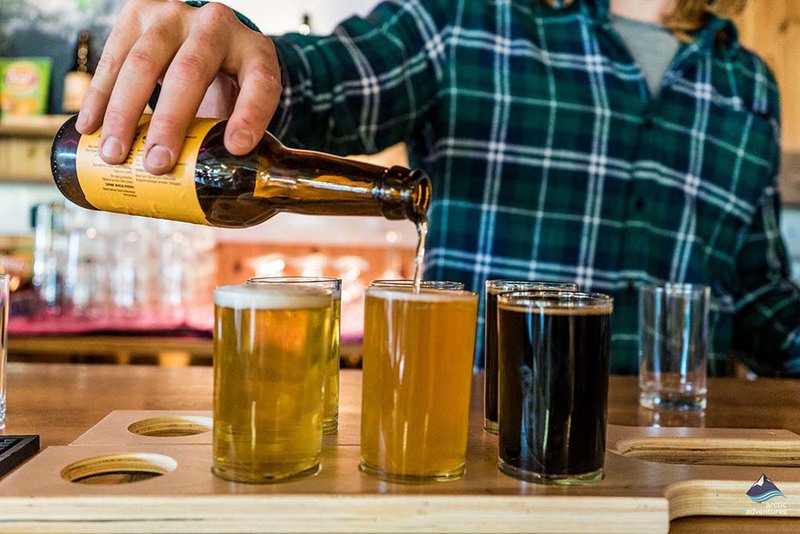 By then your mouth will definitely be all watery and longing for a nice cold beer and that’s when we bring in the actual Icelandic beer tasting; a platter of 4 local favorites for you to enjoy. If you wish to have something nice to eat with the tasty beers we recommend adding the lamb BBQ extra. 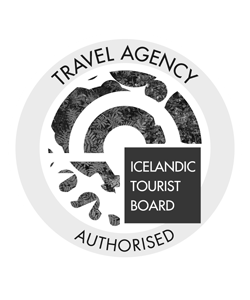 You really can’t go more Iceland local than this! Pick up service is only available for the afternoon departure (14:00), the pick up starts at 11:30 pm. Pickup can take up to 30 minutes. If you prefer to meet us on location the tour begins at 10:00 AM & 14:00. Please be at Drumboddstaðir 15 minutes prior to departure. Clothing: Warm undergarments, preferably fleece or wool. Warm socks and sweater and a change of clothes. Bathing suit & towel. 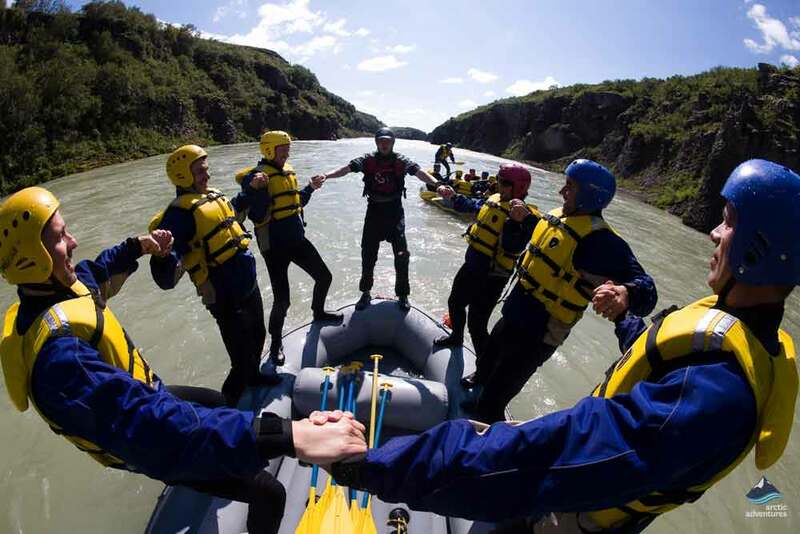 If you don’t drink alcohol or are under the age of 20 we recommend booking the Gullfoss canyon rafting tour. 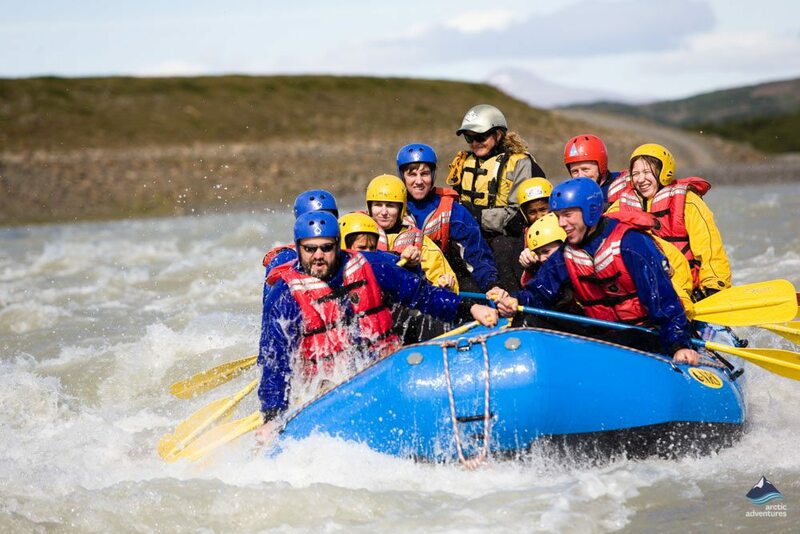 You can also add the BBQ part to the standard Gullfoss Canyon rafting. 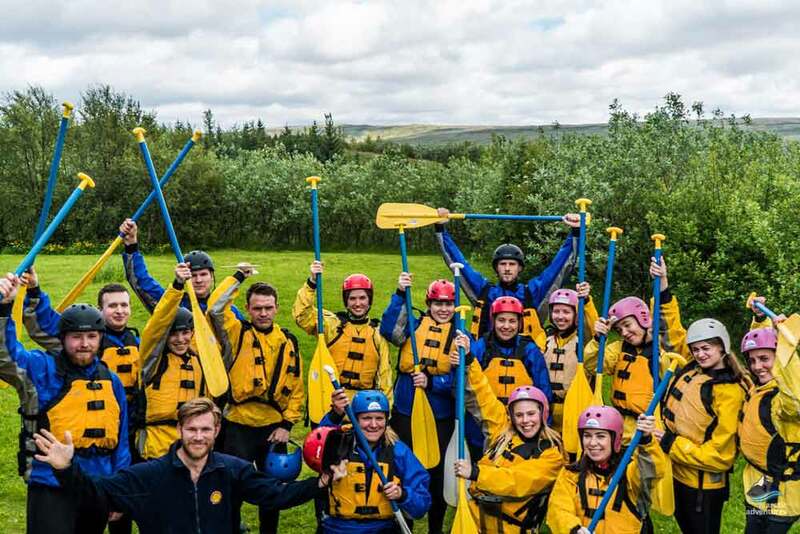 "so much fun, goofy time with great beers"
rafting like I have not seen before. 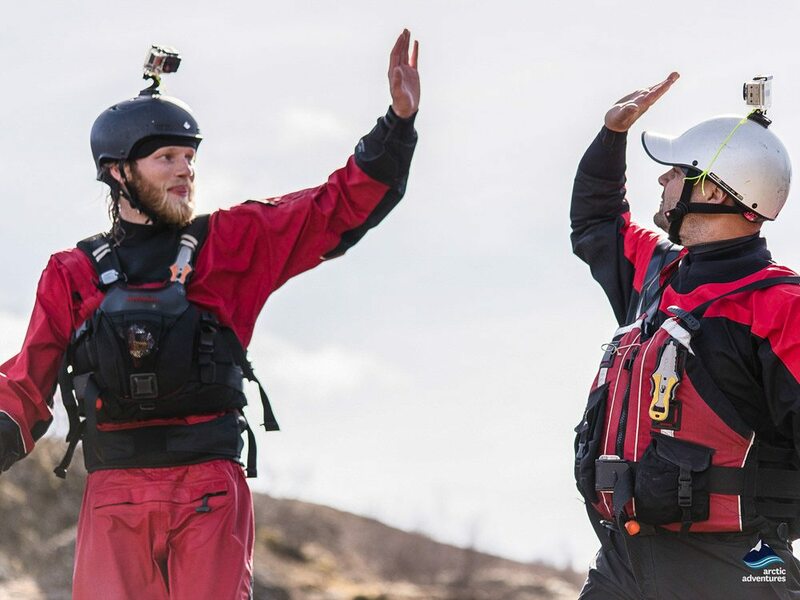 We did the lower Gulfoss River and it had some nice class threes that they steered directly into the heart of. Easy and good for beginners. They like to goof around, jump in the water (wetsuits provided). Guides are supurb, fun and friendly. Pretty views in the canyons. When done, we did the beer tasting, excellent Borg beers with the guides and the stories behind Icleand’s longtime prohibition. 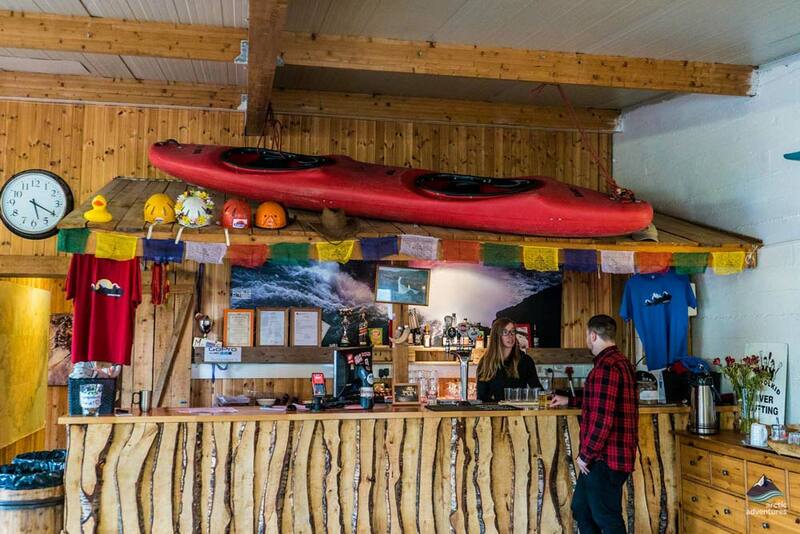 "Amazing Guide, Fun Rafting, and Great Bar"
We did the early morning trip at 10:00. The staff was great and our guide could have been an improv comic. He spoke excellent English and was friendly and helpful, talked us through everything we should have expected about the trip. He started the trip off well by getting our group in a good mood. 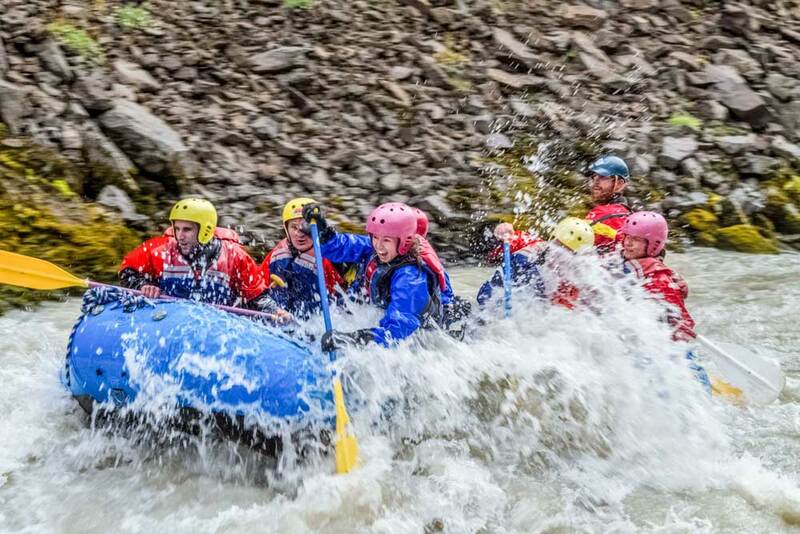 I’ve never been rafting before so I cannot compare the rapids. These seemed pretty tame except for two spots at the beginning of the ride when we had crew-mates thrown from their seats. The guide said they were class 2+ rapids and they can get up to 3+ depending on the rains. I would feel comfortable letting kids 10 and up who were able to swim do this trip. The total trip took about an hour. They stopped a third of the way in so that rafters could jump off a cliff. Our guide was knowledgable about the volcanic rock formations that we passed. The beer tasting and meal they offered after the trip was unexpectedly good. They served lamb steaks with dill sauce, salad, and potato salad. It was delicious and it was one of the beat meals we’ve had in Iceland. Tipping was not expected.